If Gregg Popovich can’t get Derrick Rose back to a certain level of greatness, who can? The San Antonio Spurs need a point guard, and Rose needs a franchise to believe in him. So it makes sense that just in case the organization can’t land Chris Paul, the former Chicago Bulls star may be on the radar. The Spurs reportedly have a “strong interest in both” Rose and Paul, according to ESPN’s Ramona Shelburne. 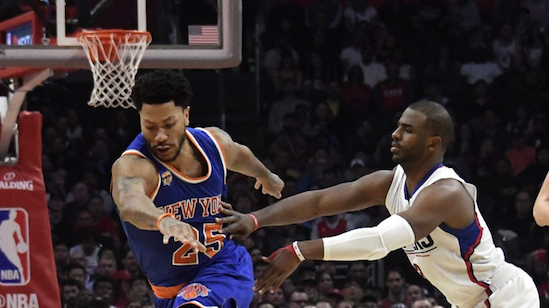 Rose will be an unrestricted free agent this offseason and won’t be returning to New York. San Antonio would “quietly” allow Rose to play for a contender, while not having to be the man.